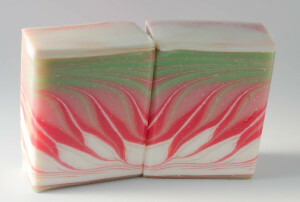 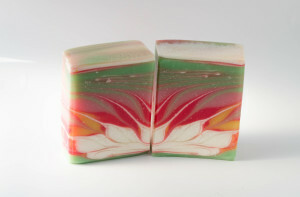 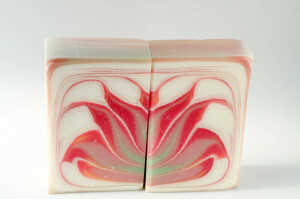 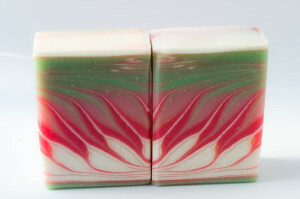 January’s soap challenge is based on a relatively new technique dubbed the circling Taiwan swirl. 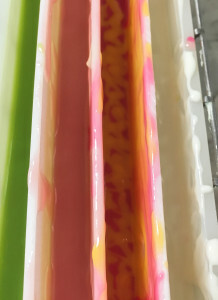 To accomplish the swirl you go through the steps to create a Taiwan swirl but then you move your swirling instrument to one corner of the mold and proceed to drag it in circles around the mold. When you cut the soap on the horizontal plane and place the two pieces you get the appearance of a lotus flower. 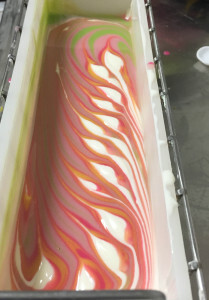 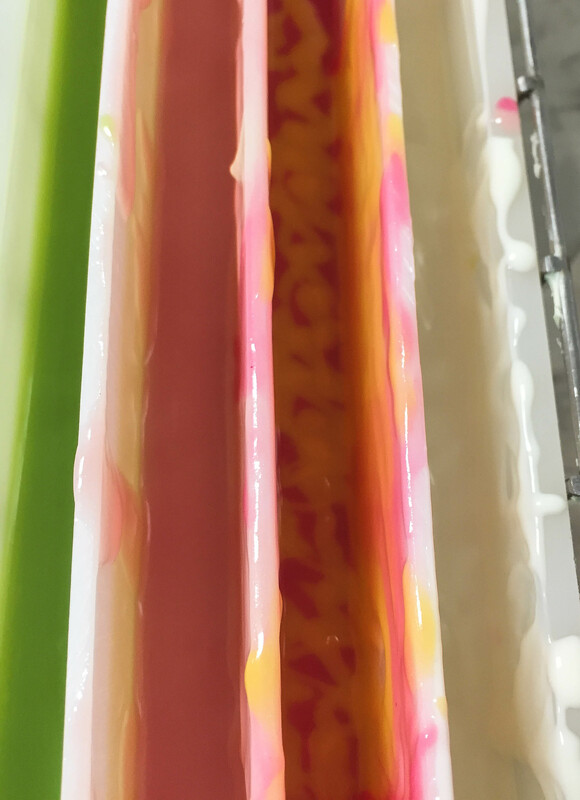 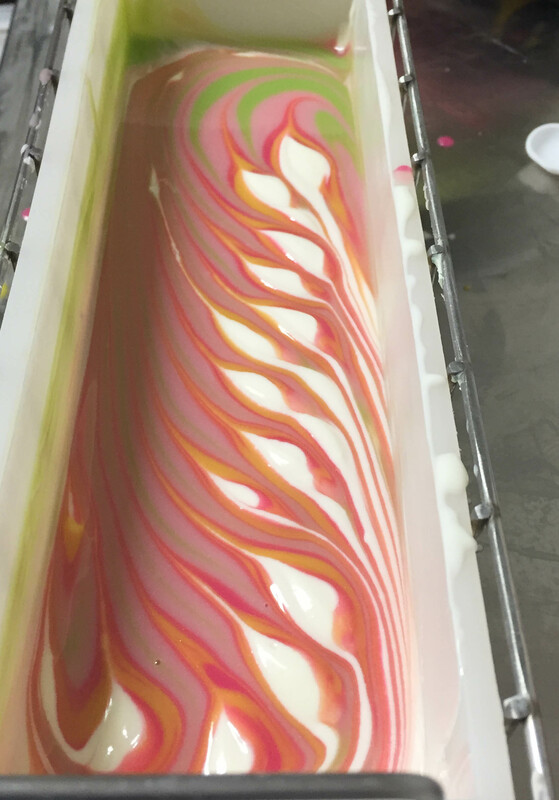 Cutting soap is one of the most exciting parts of making soap – you never know what you are going to get – and this technique is really fun. When I uncovered the soap the next day it was covered with soda ash (a white powdery substance that is harmless – it is just not attractive). Because this soap was going to be cut on the horizontal it was not a problem as a thin layer of soap could easily be removed.